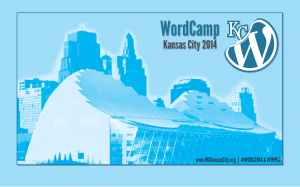 I’m a co-organizer for the WordPressKC Meetup Group and the WordCamps for 2014, 2015, 2016 & 2017. 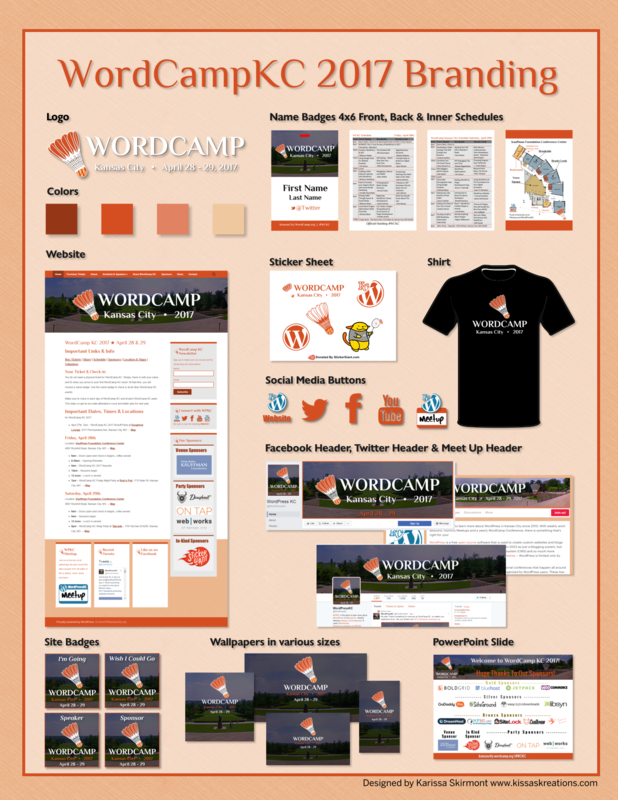 WordCamps are casual, locally-organized, public conferences covering everything related to WordPress, a free and open-source (public-access) software that powers over 75 million sites on the web. 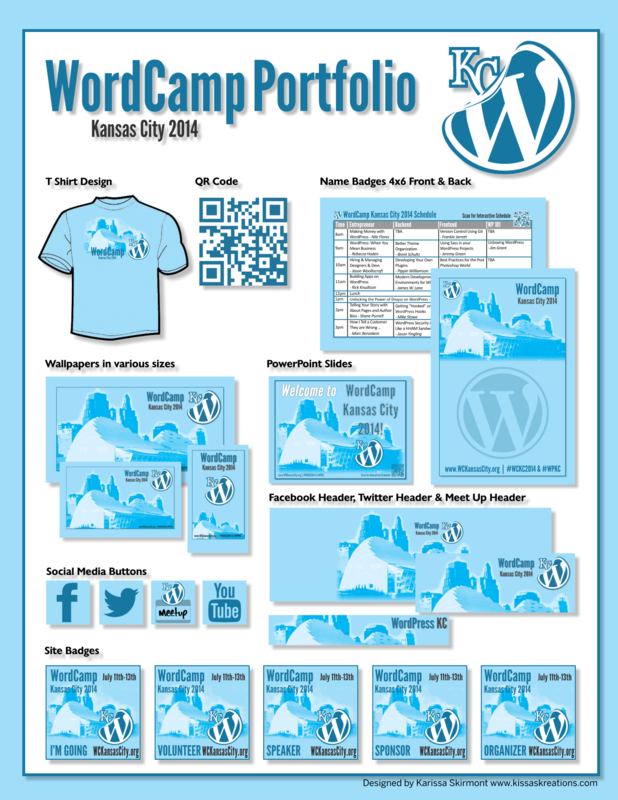 WordCamps are attended by people ranging from blogging newbies to WordPress developers and consultants. Here is the branding that I have done over the years. Note that the style of name badge with the up-side-down 2nd page when hanging from the laynard, that is now common amongst WordCamps, was started by me in 2015. This branding package included a logo, website design, social media graphics and icons, name badges, T-Shirt, stickers (including a badminton playing #Wapuu), wallpapers etc. 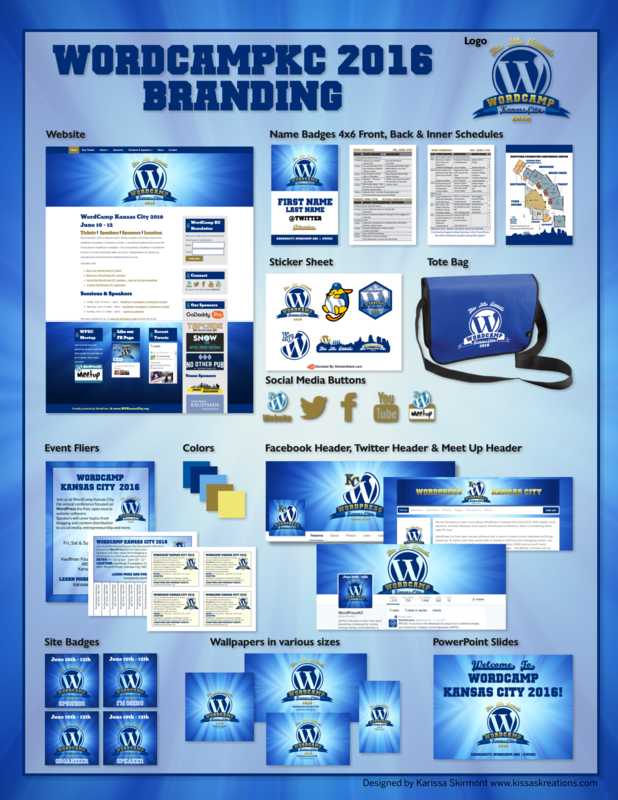 This branding package included a logo, website design, social media graphics and icons, name badges, shirts, stickers (including a BBQ eating #Wapuu), banners and wallpapers. 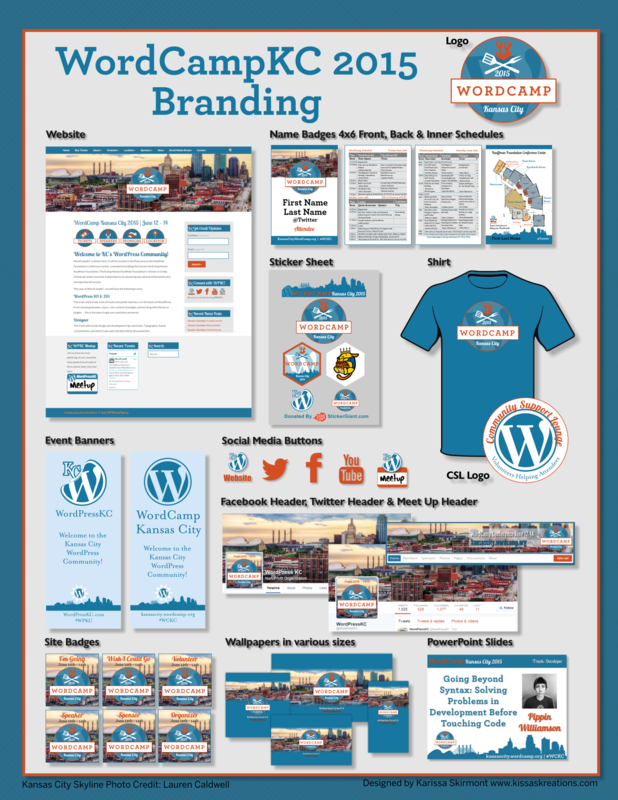 This branding package included a website design, social media graphics and icons, name badges, shirts, site badges, Powerpoint Slides and wallpapers.